From December to March the Chalet hosts a variety of groups, primarily youth retreats. It’s a stunning setting where people come each year to bask in the winter glory of the snowcapped mountains and engage in a variety of winter activities. This areal shot of the Chalet portrays some of its grandeur. Looking back over the 32 years I have been at The Firs, the faces of a good number of staff members come to mind. Different roles, different personalities and different skills set, each one apart from the other. Some were here just a short time while others for a majority of their professional career. Each left a mark behind when they moved on. For some it was a brief memory, but for others it was a lasting legacy. Three such “legacy staff people” are finishing up their time at The Firs either at the end of this year or shortly after and I want to take a moment to share their legacy with you over the next several weeks. The first one is Rob Lee. A majority of Rob’s 23 years at The Firs was spent as the Director of Camp Firwood. I suspect for many the stereotype of a camp director is a guy with a whistle around his neck and a megaphone at his mouth leading a crowd of kids in wild and crazy camp activities. Rob wasn’t that guy. He hired well those who would be his creative, program leaders – the fun masters so important to a summer camp environment. And, while Rob loved to speak to campers about Jesus at Centerstage and always interacted with campers’ one on one throughout the week – you would mostly find him leading from behind. You see, Rob saw himself, from the very beginning, as a pastor to his staff, first and foremost and that is exactly what he was. Certainly not in the formal church sense, but every June right around 100 of his “parishioners” showed up at camp needing direction as they set out on their grand adventure to be counselors and CIT’s and program leads for the next ten weeks. In the process, he extracted from them a level of commitment to the mission and, then, kept them focused. He taught them what it meant to move their attention off themselves and to love campers as God loves them. He helped them with the challenges they faced with campers and fellow staffers and even with their own personal baggage brought with them to camp. Rob never stopped learning about the generation of students that he led. He probably never thought of himself this way but he became an authority on working with Millennials in the summer staff arena. And, it never was just about the summer for Rob. He cared for his people beyond the scope of their ten week experience. He baptized a good number every summer who wanted to declare their commitment to God as they left Firwood. He married many who had spent time under his leadership. His heart broke for those who drifted away from their faith after their days on staff and he counseled many at different stages in their life. That level of pastoral care was Rob’s legacy at The Firs and he has left a big hole for us to fill as he moves on to what the Lord has for him next. I’m sure I will remember the flip flop wearing, non-conforming, somewhat cynical but ever loyal Rob for years to come. But, when I recall Rob’s time at The Firs I will also remember how he ended every one of his prayers when he would say to the God that he loved and served – “make me more like Yourself.” I don’t know about you but I kind of like that picture of a camp director over the guy with the whistle around his neck. This is a management position with hands-on cooking responsibility for all aspects of food service, including the supervision of the kitchen and Dining Room staff, in order to create and deliver high quality adult and family oriented meals to our guests. The Food Service Director is also responsible for Fircreek Day Camp staff meals, food for Fircreek special events, as well as daily After School Adventure program snacks. 1. Food Preparation: Consistently delivers attractive and creative adult-oriented meals that will be the highlight of our guest’s experience. Meals are consistently served on time with appropriate portions so that there are no shortages and waste is maintained at a minimum. 2. Menu Planning: Will develop exciting and attractive menus which are tailored to the age and nature of the groups being served, as well as alternatives for medical dietary restrictions, with a consideration to cost per meal targets, nutrition, and health guidelines. Menus will be standardized for efficiency in ordering, training, and implementation. Is constantly exploring, researching, testing and evaluating new menu options. Is regularly sourcing and evaluating new products and cooking methods. 3. Purchasing: Is responsible for purchasing food as well as a wide variety of products required to prepare meals, equip the kitchen and dining room, and serve meals with consideration to consistency and cost per meal targets. 4. Storage/Inventory: Will receive, organize, inventory, and maintain the proper storage of all food and products according to local and state health standards. Will perform periodic inventories for reporting to the business department. 5. Cooking: Will take the lead and set the example for the kitchen team for good cooking methods, practices, and standards. 6. Kitchen Cleanliness: Is responsible to maintain a high level of overall cleanliness for the kitchen, dish room, store room, food preparation equipment, and all aspects of the preparation, holding, and serving of food in food service areas including recovery and storage of re-servable food and disposal of scrapping and waste. Will meet with the health inspector on all inspections, maintain a positive and cooperative relationship, and respond immediately to any and all concerns and directives. 7. Kitchen Equipment: Will keep all food service related equipment at a high level of cleanliness and readiness for service. Will maintain and coordinate the repairs to equipment within budget and with approval for unanticipated repairs and replacements. 8. Supervision: Will serve as the supervisor for the Retreat Center kitchen and dining room insuring that all responsibilities listed above are achieved through a collegial and supportive supervisory and coaching relationship. Will train, supervise, encourage, motivate, and effectively lead kitchen and dining room staff in order to maintain an enthusiastic food service team who understands the significance of their role in the ministry which takes place at The Firs. Will build a strong positive kitchen, dish room, and dining room team of enthusiastic workers. 9. Health Regulations, Workplace Safety, Employment Standards, & Employee Supervision: Is responsible for maintaining, training, and enforcing all appropriate standards that relate to food service preparation and staffing insuring that dress, behavior, language, music, and the work environment and atmosphere is positive, honoring to God, and is consistent with the ministry objectives of The Firs. 10. Staffing, Scheduling, & Training: Will coordinate with the HR Director to maintain an appropriate level of part-time and seasonal kitchen and dining room staff, which varies significantly throughout the year. 11. Budgeting: Will create and track an approved budget for all areas of food service and staffing within the cost per meal and labor targets established by the budget. 12. Head Start: Will work closely and collegially with the Head Start staff who use Retreat Center kitchen facilities for preparation of food for the Head Start program during the mid-weeks of the school year. 13. Other: Will respond to other tasks and responsibilities as assigned by the Retreat Center Director. 1. A mature Christian with a ministry oriented vocational objective. 2. Experience in institutional food service as a director or manager with hands-on cooking experience providing food service for 100 guests or more who are resident for a week or more at a time. 3. High School Graduate with formal food service training or equivalent experience in similar applications to The Firs. 4. Experience in and a basic understanding of the ministry objectives and operational structures of resident camp and retreat organizations and a desire to serve God within this context. 1. Commercial and institutional cooking and baking skills. 2. Understanding of basic health and safety requirements as they relate to commercial food service. 3. Knowledge of the use and maintenance of commercial kitchen equipment. 4. Personnel recruitment, training, and management skills. 1. Develop consistency and stability in the performance of food service production including a high level of personal and logistical organization. 2. Read and write English, is functional with a computer, and in the use of MS Word and Excel. 3. Is able to work flexible hours including most weekends. 4. Ability to lift and carry 50 lbs up and down a flight of stairs as well as move food inventory between floors. 1. Compensation will depend on experience. 3. Retirement contributions begin after two years of full- time service. 4. Meals are available for you and your family in our retreat center dining room for approximately 10 weeks of the summer. 5. On site family housing may be available at below market value rent. Emilee Kamps was raised in Bellingham attending Fircreek and Firwood, and working as a server in the Retreat Center Dining Room. She left for George Fox University in Oregon where she studied Organizational Communication. In her summers at college, she worked in the kitchen at the Retreat Center, and also at Washington Family Ranch with Young Life. In those settings, she found retreat and camping ministry to be something God equipped and called her to do. After graduating, she went to Michigan to work at a Young Life camp for a year and found herself homesick for the mountains, trees, and her family. She is thrilled to be able to live in Whatcom County and also have her dream job! You will find Emilee outside or at reading at Woods Coffee. She is excited about her new role and is looking forward to meeting many in The Firs Family! 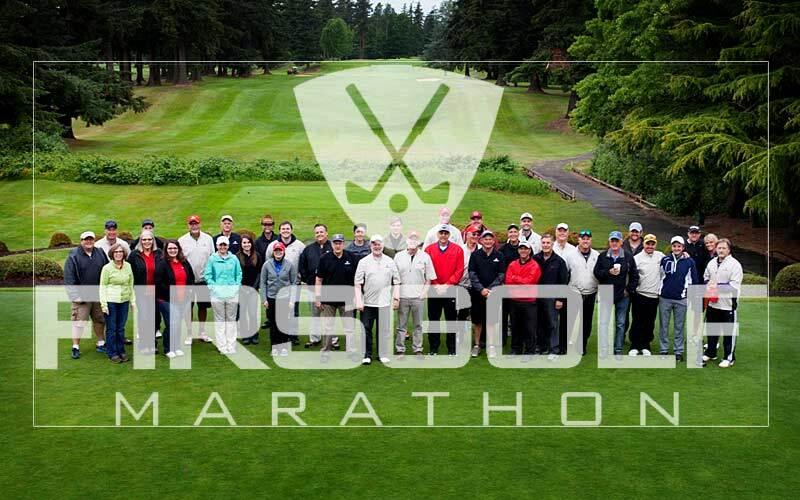 THANK YOU to all the golfers, sponsors, and volunteers for making our 2018 Annual Golf Marathon a success! HOW DO I PAY MY GOLFER PLEDGE? If you sponsored a golfer and would like to make your payment towards your golfer’s fundraising efforts, benefitting The Firs ministries, you can find your golfer’s page at firstgiving.com/thefirs. Register for Fircreek Day Camp! 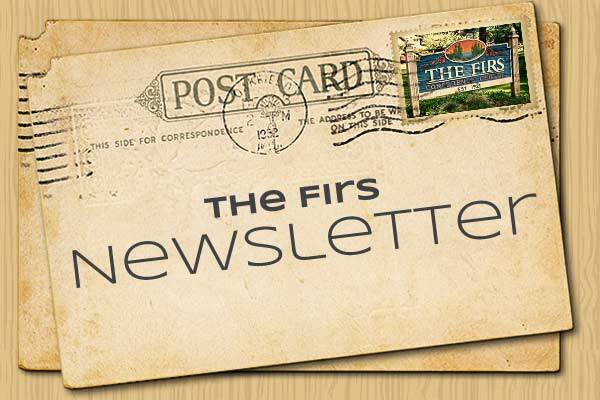 Join our mailing list to receive news and updates from The Firs.